WANT TO EXPERIENCE ULTIMATE MUSCLE MOBILITY? 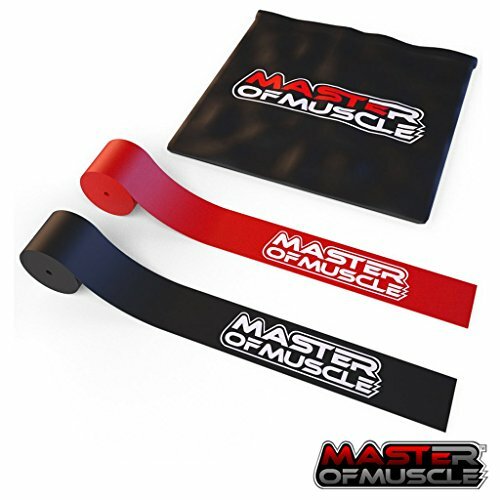 Introducing the Master of Muscle Beast Floss - The perfect tool for effective Muscle Compression & Mobility. Grab a 2 x pack of Beast Flossing today to release tight muscles from around your Neck, Upper & Lower Back and calves specifically. WHY USE BEAST FLOSS MOBILITY BANDS? - Offers a wide range of applications when rehabbing injuries, decreasing swelling or increasing over mobility and range of motion. - Allow for full compression around the entire joint or muscle and are perfect for elbows, knees, hips, ankles, shoulders and more. - Help to decrease soreness and loss of motion after exercises, helps to reduce swelling associated with injuries, restores normal joint range of motion by breaking up scar tissue, and helps with revascularization. GET YOUR MUSCLE COMPRESSION IN ANYWHERE: Easily portable for home and away travel and on the go massage. SO ORDER NOW WORRY FREE! And when you do, consider getting one for you and your workout buddy! PROMOTES MOBILITY, HEALING AND MUSCLE BUILDING: Beast Floss compression bands are a great multi purpose mobility tool, they can be used to help increase mobility in a region of the body such as; help gain internal rotation of the shoulder, extension of the elbow and knee. It can be used to break up adhesions in connective tissue in regions of chronic overload such as lateral knee/ thigh in ITB friction syndrome or in the sub-acute rehabilitation phase for the anterior ankle after ankle sprain. COMES IN TWO STRENGTHS; The black heavy band measures .051″ thick x 2″ wide and 7′ long and provides regular compression. The red x-heavy band measures .060″ thick x 2″ wide and 7′ long; the extra thickness provides more compression for more complex muscle areas. FREE EBOOK WITH BEAST FLOSS APPLICATION TECHNIQUES - To help get you started, we will show you how to get you started and to take you to the next level in you Beast Floss Experience. ORDER NOW! WORRY FREE! The Beast Floss has been intensively tested and assessed by Elite Athletics and approved for high performance and durability. We're so sure you'll love it that we offer a 100% no-questions-asked replacement or refund warranty. Try it today, risk-free, and experience unbeatable muscle compression from the Best Floss Bands on the market!